I, Toby, farts out loud and it scares me. So, I then try to climb into my little mom’s lap while whining. All while dad laughs at me! Posted June 1st, 2014 . 6 lbs or 160 lbs, they all think they’re lap dogs. 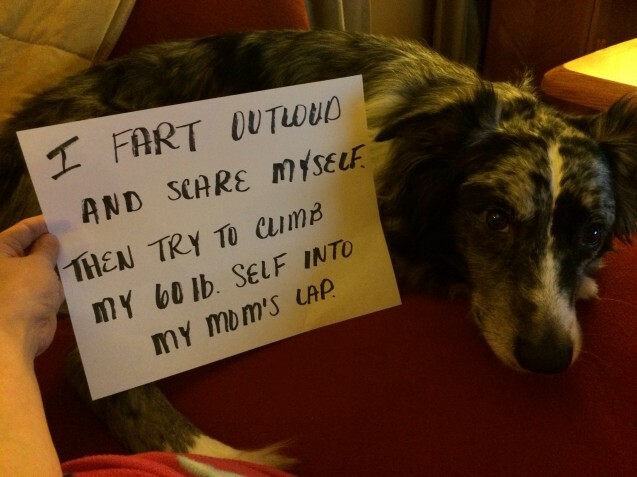 Why is a dog being scared of their own farts so hilarious every time?